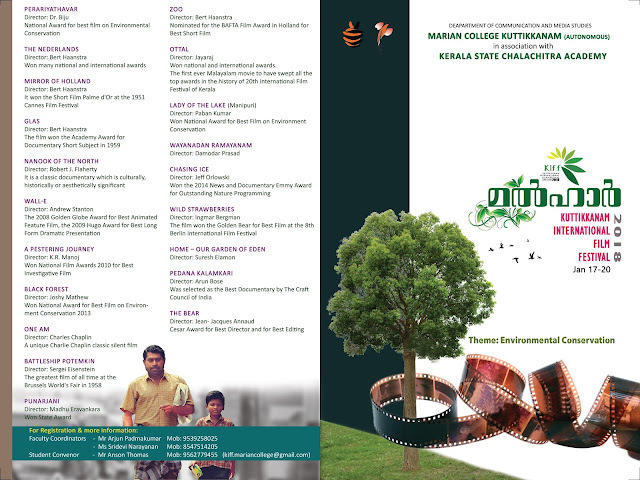 Greetings from the Department of Communication & Media Studies, Marian College Kuttikkanam (Autonomous). 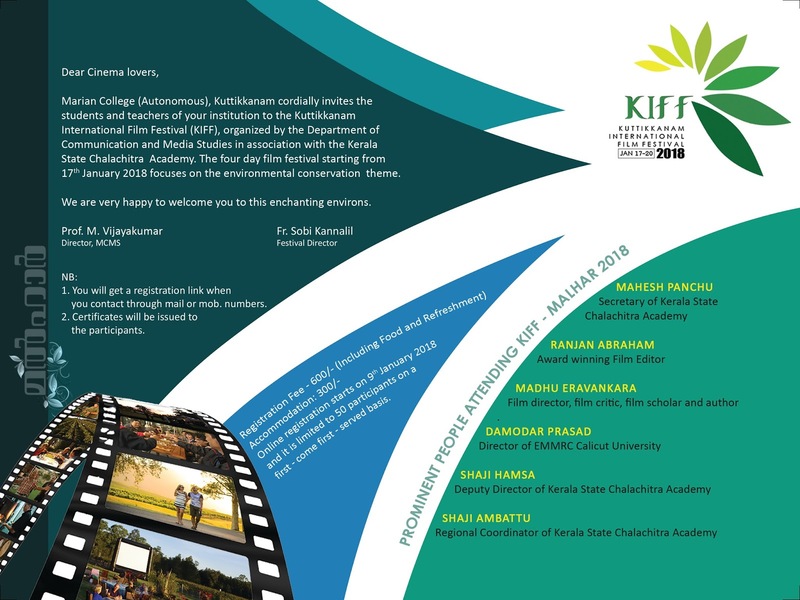 We are glad to inform you that we are organizing the first edition of 'Kuttikkanam International Film Festival: Malhar 2018' in collaboration with the Kerala Chalachitra Academy from the 17th of this month. The four day film extravaganza aims to discuss and celebrate selected films from across the globe to create an environment of visual based learning among the participants. The programme will witness participation from Shri Mahesh Panchu, Secretary of the Kerala State Chalachitra Academy, Ranjan Abraham, Award Winning Film Editor, Madhu Eravankara, Renowned Film Critic and the likes. A total of 21 movies will be screened and subsequently discussed in the presence of eminent guests. For more information, kindly refer to the brochure below.